Rice fortification is a cost effective, culturally appropriate strategy to address micronutrient deficiency in countries with high per capita rice consumption. The cost of fortification is determined by a multitude of context specific variables such as the structure and capacity of the rice industry, the complexity of the supply chain, the policy and regulatory environment and the scale of the relevant programme. As per Department of Agriculture Cooperation and Farmers Welfare, India's rice production has increased at Compound Annual Growth Rate (CAGR) of 1.43 percent during 2005-06 and 2016-17. India was the second leading rice producer followed by India, Indonesia and Bangladesh in 2015-16. Fortifying rice makes it more nutritious by adding vitamins and minerals in the post - harvest phase; many of which are lost during the milling and polishing process. Rice fortification may be considered as having the highest potential to fill the gap in current staple food fortification programs as it is the staple food of 65 percent of the Indian population and reaches the most vulnerable and poorer section - with the highest uptake in the government safety net programmes .The food and civil supplies department of each state empanels a number of rice millers in each district for regular supply of rice to the FCI, from which it is distributed to the social safety net schemes. Rice fortified with the fortificant mix by dusting; or coated or extruded fortified kernels mixed with non-fortified rice in a ratio varying between 0.5%-2% is fortified rice. Rice fortification is a cost effective, culturally appropriate strategy to address micronutrient deficiency in countries with high per capita rice consumption. India is a leading rice producing country, with 22% of the total global rice production and 65% of India's population consumes rice on a daily basis. 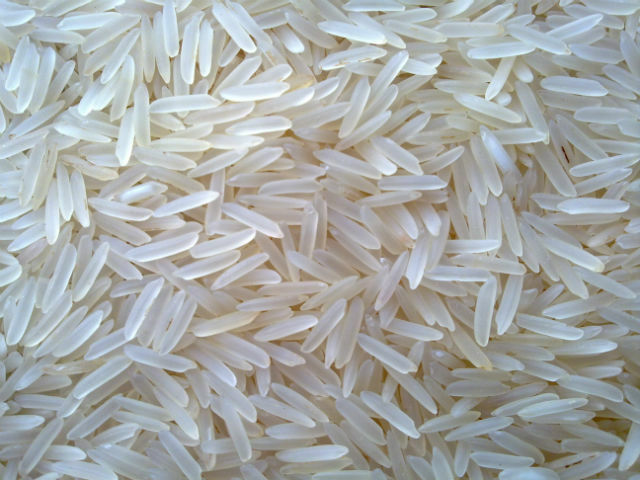 The per capita rice consumption in India is 6.8 kilogram per month. Fortification of rice makes it more nutritious by adding vitamins and minerals, many of which are lost during the milling and polishing process. Rice can be fortified using dusting, coating or extrusion technology. Extrusion is the preferred technology for rice fortification given the stability of micronutrients in the rice kernels across processing, storage, washing and cooking, also in view of cost considerations. In extrusion technology, milled rice is pulverized and mixed with a premix containing vitamins and minerals. Fortified rice kernels (FRK) are produced from this mixture using an extruder machine. The kernels resemble rice grains. FRK is added to non-fortified rice in ratio ranging from 1:50 to 1: 200 (ideal being 1:100) resulting in fortified rice nearly identical to traditional rice in aroma, taste, and texture. It is then distributed for regular consumption. The cost of fortification is determined by a multitude of context specific variables such as the structure and capacity of the rice industry, the complexity of the supply chain, the policy and regulatory environment and the scale of the relevant programme. Rice can be fortified using dusting, coating or extrusion technology. Extrusion is the technology of choice for rice fortification given the stability of micronutrients in the rice kernels across processing, storage, washing and cooking, also in view of cost considerations. In extrusion technology, milled broken rice is pulverized and mixed with a premix containing vitamins and minerals. Fortified rice kernels (FRK) are produced from this mixture using an extruder machine. The kernels resemble rice grains. FRK is added to non-fortified rice in ratio ranging from 1:50 to 1: 200 ( ideal is 1:100) resulting in fortified rice nearly identical to traditional rice in aroma, taste, and texture. It is then distributed for regular consumption. The cost of fortification is determined by a multitude of context specific variables such as the structure and capacity of the rice industry, the complexity of the supply chain, the policy and regulatory environment and the scale of the relevant programme. A typical low cost -150 kgs per hour- twin screw extruder with all ancillary equipment costs 35 ? 40 lakhs INR upwards. A good quality extrusion line may cost up to 13.5 crore INR. Utility costs like purified water plant, steam generator, air compressor and packaging lines are not included here. The retail price increase for fortified rice ranges from an additional 1% to 10%. As rice fortification expands, production and distribution achieve economies of scale, costs are expected to reduce. Fortifying rice is cost-effective; the additional cost to the consumer inclusive of all associated costs is .45 per kg depending on the nutrients added. 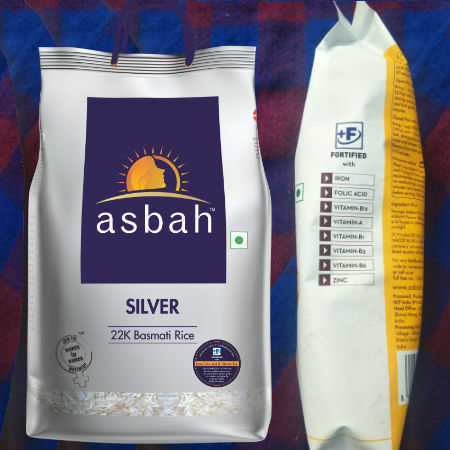 DCP Foods Pvt Ltd Asbah understands the need of the hour and brings to you 'Asbah Power Rice' with Power of 8 nutrients such as Vitamin A, B1, B6, B3, B12, Zinc, Iron, Folic Acid. Asbha's Power Rice, as the name suggests, is a power house of nutrients, essential minerals and vitamins. The Asbah Power Rice will help meet the daily nutrition requirements and give everyone an easy access to a healthy and active life as recommended by health experts. Women, of all ages, particularly in India, are highly prone to face such deficiencies. Power Rice is fortified with 8 nutrients including iron, folic acid, vitamin B12, etc. 'Power Rice' is not only a treat for your taste buds but also total supplement of essential nutrients. These multi-nutrients are also beneficial for controlling hypertension, diabetes and depression. Asbah acts as a barrier between women's health and the threats to their immune system. Today, following its vision, Asbah stands tall with women across the globe as the World's First Social Brand in the Food Category. In today's fast paced life we seldom have time to control quality of the food products we consume, but can exercise control on what we eat. While our children fuss over food and tend to skip it, it is all the more important to give them food which gives wholesome health benefits - Asbah to the rescue! 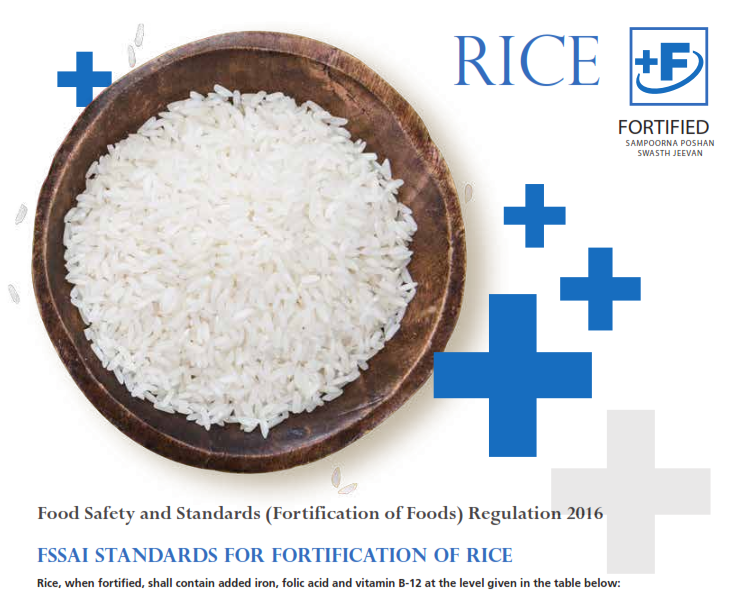 - DCP Foods Pvt Ltd.
- LT Foods Supports Nutrition Through Rice Fortification.